It's all about light and colours, a captured moment of the perception of it. Surface depicted in order to find the present of the presence. I am a painter working mostly with acrylic on canvas. 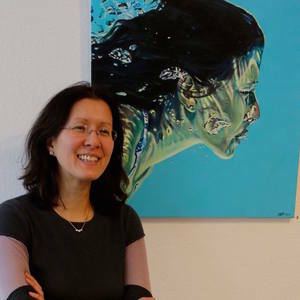 Graduated from Munich Film Academy in 2004, studied Chinese and Japanese traditional painting and calligraphy, and have been painting and drawing since I can hold a pen or brush.